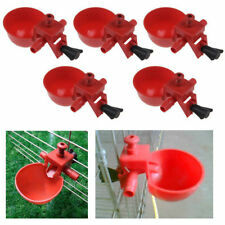 FEED SEED SCOOP Dog Cat Bird Chicken. 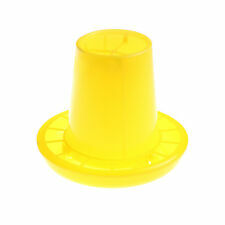 Pet Grain Food Plastic 2 CUP Markings. • 1/2 Cup Markings. • 2 Cup Capacity. They primarily block calcium, magnesium, copper, iron and zinc. 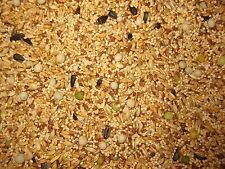 Dry grains and seeds fed dry only allow 20% of the protein to be absorbed. In fact, seeds can pass through a digestive system and are still able to grow into healthy plants. Oyster shell is better and more nutritious than granite grit for your birds. Calcium is also important for laying hens. Calcium will allow the hen to produce harder egg shells. Calcium deficiency is the leading cause of soft egg shell production. MANNA PRO OYSTER SHELL. 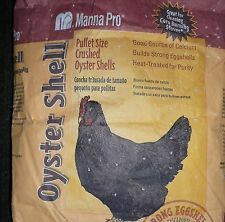 Pellet size crushed oyster shell - Provides a good source of calcuim that builds strong eggshells from your birds. Why do laying hens need oyster shell?. Also Oyster Shell can be used for Snails and Shrimp and other things. 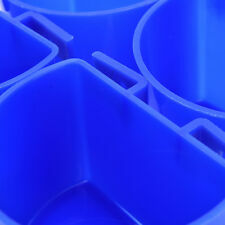 Containers are both boil & freeze resistant for strength and sanitation. 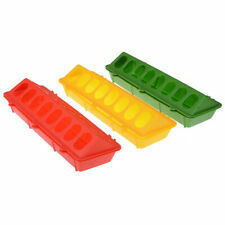 ( For ice removal & to prevent breaking, it is best to fill only 1/3 to 1/2 full in the winter. ). We have several more sizes available that appear in the picture below. High level of calcium for enhanced shell quality . Calcium 3.0% 4.0%. Fully fortified with balanced blend of minerals and vitamins to support high level egg production . Crude Fat 6.0% 6.0%. Crude Protein 16.0% 16.0%. High level of calcium for enhanced shell quality . Calcium 3.0% 4.0%. For sale is 50LBs of non-GMO layer feed made here in Virginia. Fully fortified with balanced blend of minerals and vitamins to support high level egg production . Feed it all (oat grass, roots and hulls). . your chickens will LOVE it! Easily grow tender, green oats for your backyard chickens. . a great treat! Your chickens will love Chicken Oats! Depending on temperature, your oats should be ready to feed to your chickens in approx. 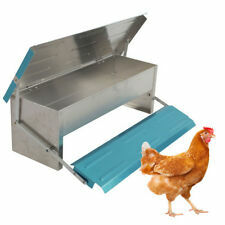 Safe for mixed flocks including all classes of poultry. Ideal nutrition and quality for a natural, happy. MOSA certified organic and non-GMO. 20% protein. 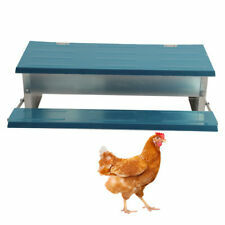 Safe for mixed flocks including all classes of poultry. Ideal nutrition and quality for a natural, happy. MOSA certified organic and non-GMO. 17% protein. Laying hens need a source of calcium to keep their eggshells strong. Hens that get too little calcium will lay thin-shelled eggs that will be prone to breakage. Crushed Oyster Shell for laying hens and chicken scratch. Crushed Oyster Shell for laying hens and chicken scratch. For strong eggs, Oyster Shell is a must have. Item Type: Poultry Water Drinker. Application: Poultry Birds Feeding. The best wasy designed to water chickens. Easy and safe to use, very convenient. 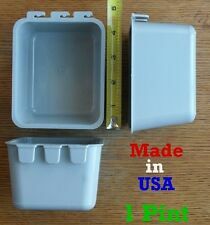 Material: Plastic. This magnetic food pyramid is divided into two columns: "What they need" and "What they've had.". 50 LB, Organic and Non-GMO Project Verified Chicken Scratch, Great Mix That Can Be Used To Promote Positive Behaviors, Use In Your Garden Beds To Have The Chickens Turn The Soil For You, Scatter It Around The Yard To Promote Exercise, Or Simply Offer It As A Treat. No pellets here. I am not quite sure what is even in those pellets. You can see what mine is made of. Only fresh ground NON GMO layer chicken feed.FOR SALE 10 lbs of non gmo 17% layer chicken feed. Whole Brown Flax Seed NON-GMO Animal Feed. 100% Whole Brown Flax seed. Chickens, Pet Birds, Wild Birds, Horses, Dogs, Hamsters, Rabbits and Hermit Crabs. Flax can be ground or fed whole. Flax can be fed to. No pellets here. Only fresh ground NON GMO layer chicken feed. FOR SALE 20 lbs of non gmo 17% layer chicken feed. GREAT STUFF. As you can see in the pictures my chickens love it. It is Amish made and vacuum sealed to seal in the freshness.